Especially in Europe, my books are mocked mercilessly for the last week. It could be because End Times and 2019 generates more attention at the start of… 2019. Or just because my speculations are sometimes wrong. But bearing in mind that I’m not particularly famous or important and that writing books on the possible end-of-the-world-as-we-know-it isn’t my day job… it also makes me wonder why I am suddenly being written up (and discredited) in hundreds of publications around the world in the last week. * Even this blog post was only up for a few minutes, and had perhaps 3 views at best – before another tabloid mockery type article appeared about the post you are reading right now! – https://ascienceenthusiast.com/totally-serious-prophecy-says-the-apocalypse-will-occur-in-2019-for-real-this-time-guys/ As if my ideas aren’t questionable enough on their own… this one even added “Sharknadoes” to my list of claims! 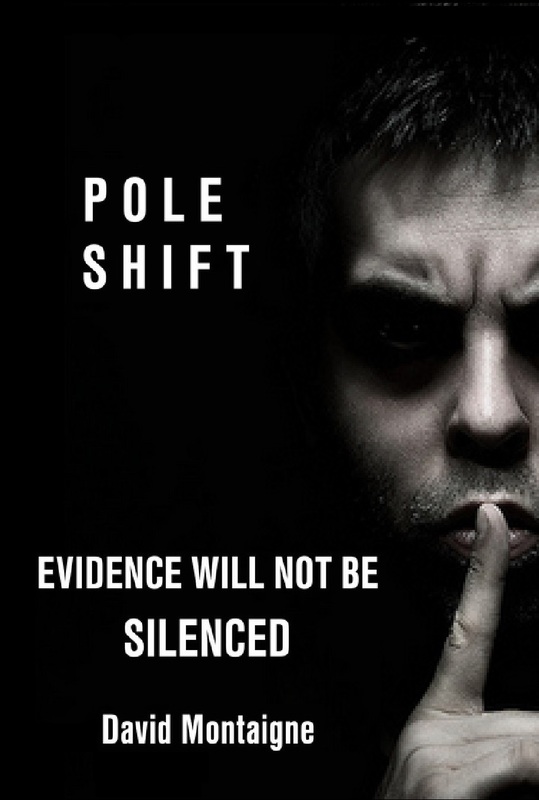 If I were the tinfoil hat wearing conspiracy theorist type – I would start wondering if I’m really onto something important with my newest POLE SHIFT book, and if there’s a smear campaign to discredit me. Probably not… But the huge surge in (negative) publicity for my writing does get my attention. 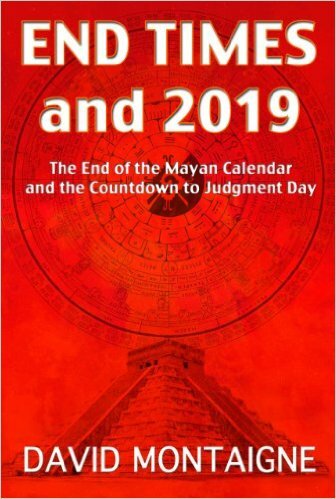 “Author Ronald Weinland claims the apocalypse will come on June 9, 2019, based on his readings of Mayan texts. Weinland previously made failed predictions of Armageddon in 2011, 2012, and 2013.
moved the North Pole from the west of Hudson Bay – the middle of North America’s Ice Cap – to its current position. It doesn’t make much sense for an “ice age” in North America while Siberia was warm and full of herds of big animals – unless the North Pole wasn’t where it is today… But I guess they didn’t bother to read my POLE SHIFT book either. This video seems pretty accurate compared to the mistreatment I received in the articles. But I prefer to let my books speak for themselves – in case you’re interested in more than me getting roasted in the press. Readers of your books will have the discretion to see the difference between authentic sifting through of ideas versus inane prophecy declarations. You are being ridiculed because you are batshit crazy! Your claims are pseudoscientific garbage at best. I suspect that even if the main story of an ancient book is implausible, there is often a subtext between the lines with a message. In many stories the information is clearly astronomical, as described in Hamlet’s Mill. If they’re spelling your name correctly, then they are effectively giving you the publicity you appear to have been wondering how to cultivate. Only 0.1% of the population are going to have any ability to countenance the feasibility of pole shift (let alone a 12,000 year cataclysm cycle), so that makes reaching your audience incredibly difficult in the first place. However, it’s probable that that audience will also have an eye out for MSM ridiculing of crack-pots (smoke without fire, etc), and so some of them will check out where you appear in the Von Daniken/Ike/Velikovsky/Hancock spectrum – and so a few more will find you. Prophecy will of course be ridiculed as the paranormal ability to predict the future, and this will probably be the linchpin of the case against you – even though, it is quite likely that long term directions (in knowledge of forthcoming cataclysm) would be disseminated quasi-steganographically in the form of prediction/prophecy. You cannot reach the mainstream audience. No-one can. The red pill is for a tiny few. So, there is no audience of yours there that would be lost by becoming labelled as an always-wrong prophecy-monger who believes the world is going to turn upside down “next year”. Many words of wisdom in that comment, Zod. Thanks again. 2019 won’t be the end. The end will be when Jesus comes back and judges the nations. I believe it will happen within a few decades, no later than 2050. Unfortunately there isn’t much to win from being right about the things I’m suggesting could happen soon.